We have written about Akshay Gupta earlier. 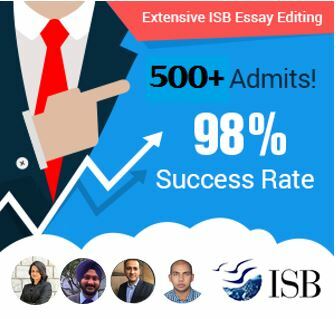 A former GyanOne client, he worked with us on his applications to top MBA programs in Asia, finally choosing to attend ISB. Akshay excelled at the ISB program, finishing just below the top 10% (Dean’s list) of the class, and achieving a very high GPA on Finance courses. ISB fascinated and excited Akshay, and he even wrote a guest post for us on life at ISB. 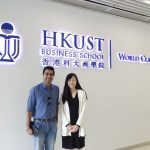 Simultaneously, though, Akshay felt a longing to go deeper into his chosen area of study – Accounting – than an MBA would allow. He longed not just to study and apply, but also research in the area. He therefore set his sights on the ISB Fellow Program in Management (FPM), targeting admissions immediately after completing his ISB MBA, and contacted GyanOne for admissions consulting on this. The ISB FPM website clearly mentions that while applicants with just Bachelor’s education can send in their applications, it also notes that high scholastic aptitude and a potential for research are important components of a strong application. The FPM is a PhD equivalent program and one of the premier options for a PhD in Management in India. Participants will dedicate 4+ years of their lives to conducting research, publishing papers, preparing a thesis, and defending it. A strong passion for and some experience in the area that they wish to specialize in is therefore critical. 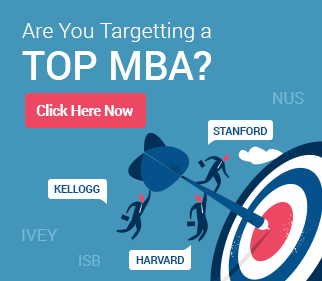 Of course, the ISB FPM is not the only top option for a PhD in Management in India – the IIM FPM programs (covered in this post) are other top options. Apart from academic and test scores, the FPM application is critically based on the Statement of Purpose, a 1500 word essay on the candidate’s choice of area, and reasons for choosing it. Akshay worked with GyanOne exclusively to thresh out the right ideas from his extensive background in Accounting. We worked with Akshay to help him translate his professional experience to academic potential. Akshay brainstormed with us on how he could demonstrate a need for a PhD so soon after completing his MBA, and also justify his MBA. Together, we came up with a storyline that helped Akshay to talk about the utility of pursuing the FPM, why the MBA was not enough, and how his background gave him the perfect platform to pursue the FPM. Akshay’s activities and projects at ISB, including his interaction with some professors, was also useful in helping him identify the right areas within Accounting that he wanted to study further. Akshay worked with a GyanOne consultant who had strong knowledge of Finance and Accounting, and so could relate very well to Akshay’s experiences. The strength of Akshay’s application led to success at the FPM process and he received his FPM admit a little before graduating from the ISB PGP in April 2014. – Start early: The ISB FPM application is detailed and the Statement of Purpose will require introspection, research, and lots of brainstorming. Start early and make sure that all the academic documents you need are at hand. Take time to understand the program, its structure, and its fit with your profile. All of these elements will be richly rewarded when creating your application. – It’s about research potential, not published research: Many potential applicants to the FPM shy away from applying because they convince themselves that they have no research experience in the area they want to specialize in. As stated by ISB, research experience is not a pre-requisite for applying. However, research potential is. Obviously, you would not want to pursue doctoral-level studies in an area which you have no prior exposure to. 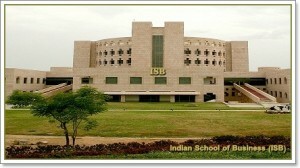 ISB too spends more than Rs. 700,000 on each FPM student each year – they will overlook your candidature for others who show more potential for contribution in the concerned area. – Be genuine if contacting faculty at ISB: In general, FPM applicants should route their queries to the FPM admissions office, not to faculty members at ISB. As ISB says, faculty members can distinguish easily between requests designed to boost an application and genuine queries. Contacting a faculty member is not a pre-requisite to a successful FPM application. However, if you are already in touch with a faculty member in the area you wish to specialize in, by all means go ahead and establish contact with him/her. – Do not discount the value of professional experience: Relevant professional experience in the area of proposed specialization (e.g. Marketing for an FMCG professional) can substitute well for the lack of an academic or research background in the area. Leverage the value of your professional experiences well in your FPM application and SoP. – Be aware of recommendation requirements: ISB clearly states that it prefers that recommendations come from academic rather than professional sources. In some cases this may be unavoidable, but if you can get an academic reference, go for it. The ISB FPM requires three recommendations.